A stunning strike from Shane Long gave the Republic of Ireland a famous win over world champions Germany on Thursday night and in the process guaranteed Martin O'Neill's men at least third place in Group D and a play-off for the Euro 2016. Poland's late equaliser in Scotland eliminated our Celtic cousins from the running and ensured it will be a three-horse race heading into the final round of games. But what are our chances of securing one of the top two spots in the group and an automatic berth in France? Germany face Georgia at home in their final game on Sunday, where you would expect them to earn the three points that would secure top spot. A German draw, however, would open the door for either Poland or Ireland to take top spot with victory, with the loser finishing third. If Germany were somehow to lose and Poland and Ireland drew, all three teams would be on 19 points and Ireland would take first place due to their superior points total in the games among the three teams. The world champions would drop to third place and the play-off. 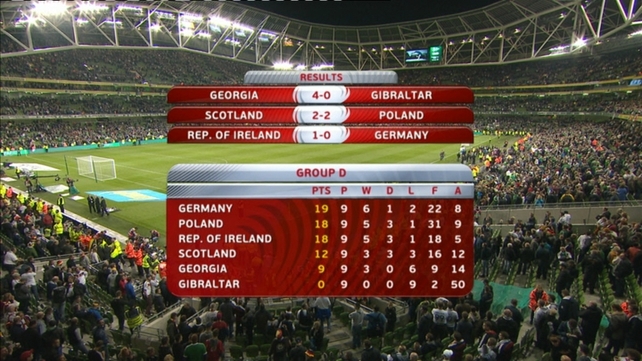 Assuming the more realistic scenario of a Germany victory over Georgia, it's a straight fight between Poland and Ireland for second place. This is where Robert Lewandowski's 94th-minute strike at Hampden Park makes life difficult for the Boys in Green. 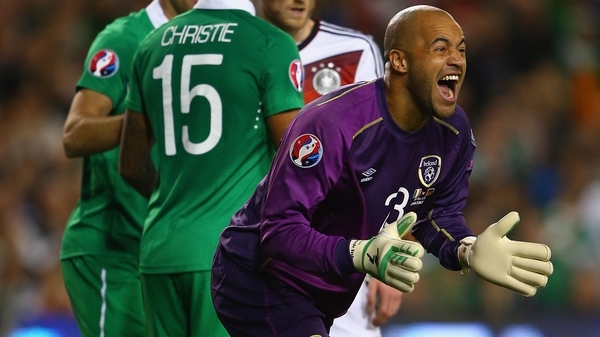 A Scotland win would have ensured a draw in Warsaw would have clinched second for Ireland. But as we are now level on points with Poland, a second draw between the teams would mean second being decided on away goals scored. Poland have one from the 1-1 tie in Dublin if there was another 1-1 draw in Warsaw, the Poles' superior overall goal difference (+22 v +13) would put them ahead. 2-2, 3-3, 4-4 etc would send us through on away goals. 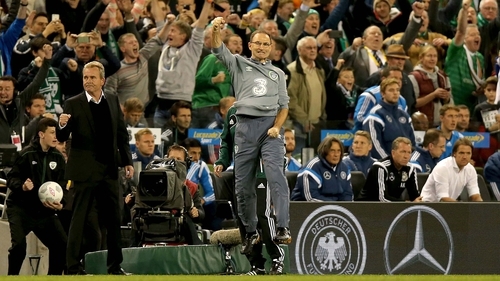 So, the likely scenario is: Ireland must win or draw 2-2 or higher to qualify directly for Euro 2016. There is a single automatic qualification spot available to the third-place team with the highest points total (excluding results against sixth-placed teams) but as we would have to draw or lose against Poland to finish third, and thus be on 12/13 points excluding the Gibraltar wins, we can't catch the top-ranked side (currently Hungary) anyway. Let's assume then that we end up in one of the four seeded play-off ties. The draw will be made on 18 October with the two-legged ties played over six days between 12 and 17 November. Teams will play on Thursday/Sunday, Friday/Monday or Saturday/Tuesday. Assuming Hungary took the automatic spot, as it stands Ireland would be seeds for the play-offs and face Turkey, Israel, Slovenia or Albania. But in the event of the draw/defeat that would see Ireland finish third, two wins for Sweden and Turkey could see them overtake Ireland. The difference between a draw and a defeat in Warsaw would be enough to decide whether we ranked ahead of Turkey. Other teams still in with a shout of finishing third are Montenegro (30), Estonia (38), Bosnia (16), Norway (24) and the Netherlands (6). Either or both of the last two qualifying would also mean Ireland sliding down the seed ranking while Norway could potentially catch us too. In short? Let's keep it simple and beat Poland.